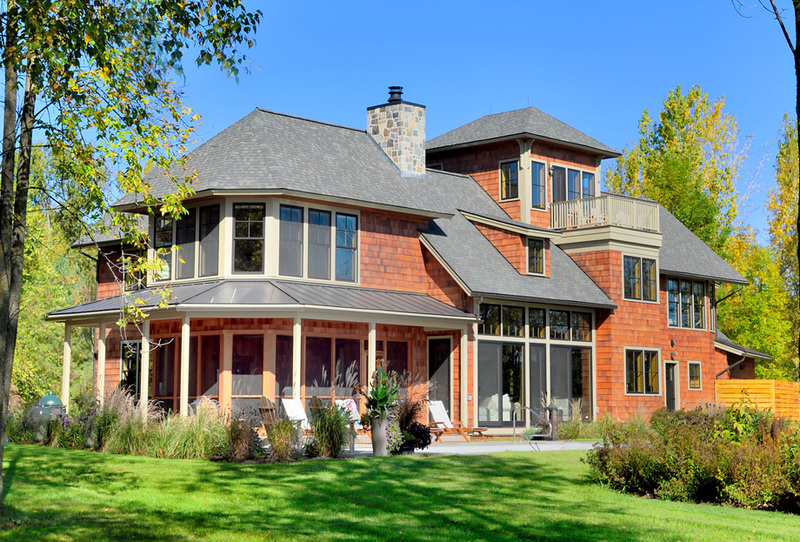 This residential project on Lake Champlain offered the owners of this beautiful property a chance to build their dream. The wood and steel framed structure features a Zip Sheathing envelope, and even with the extensive windows and doors on the lakefront of the house this home meets high State of Vermont building standards for energy efficiency. Other features include an open and spacious contemporary design, a beautiful fireplace in the living area and a loft retreat above the second floor of the home. Outside, beautiful landscaping and an in-ground pool make this home and all-around stunner.